After Apple’s event finished I got a few minutes with the new iPhone 5, so I thought I’d give you a few pictures and some first impressions. 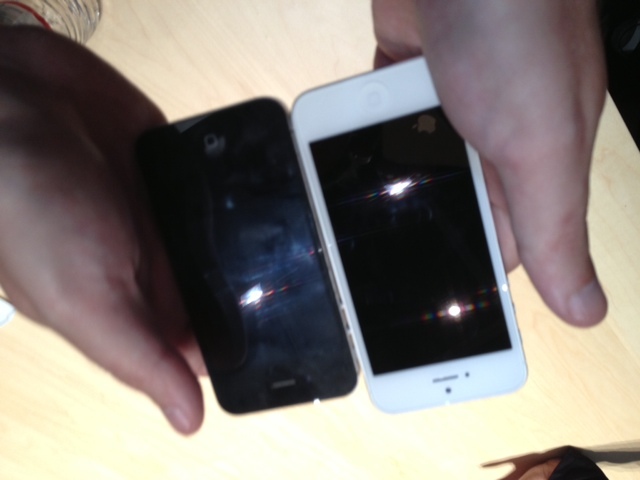 What was important to me for an updated iPhone was the larger screen. However, making a larger screen does come with its drawbacks if it’s not done right. Specifically, if you can’t operate it with one hand, it might be a difficult sell for a lot of people. 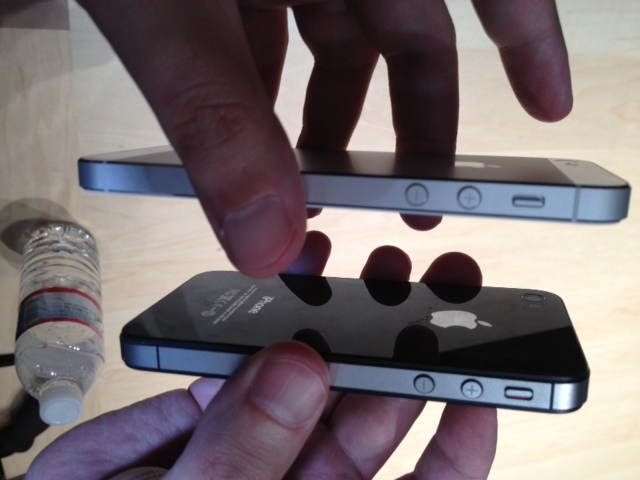 I’m happy to report that I was able to operate the iPhone 5 with ease using one hand. That means I was able to reach the top of the screen with my thumb, change options and navigate through the screens without having to reach uncomfortably. 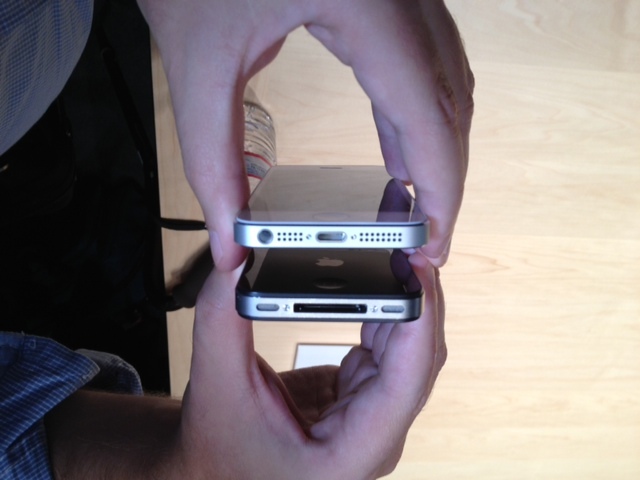 The other point with the size is being able to fit the iPhone in your pocket. I wasn’t able to give that a try, but judging from the pictures, I think it will be fine. The screen is brilliant as you might expect being a Retina display. It will be nice watching a 16:9 movie on a screen that was designed to fit the picture. 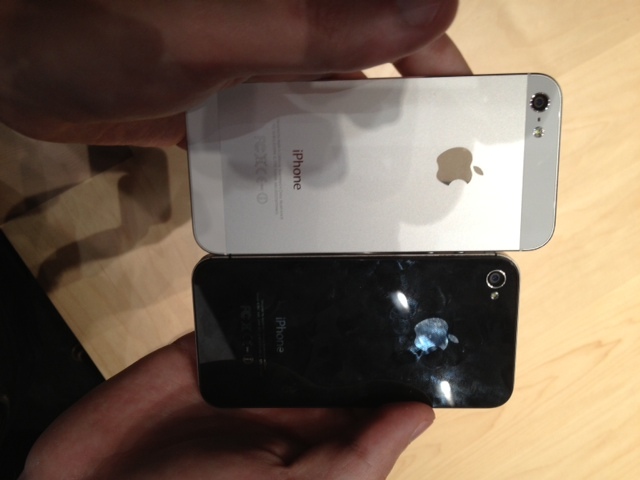 Here are a few pictures of the iPhone 5 and the iPhone 4s for comparison. 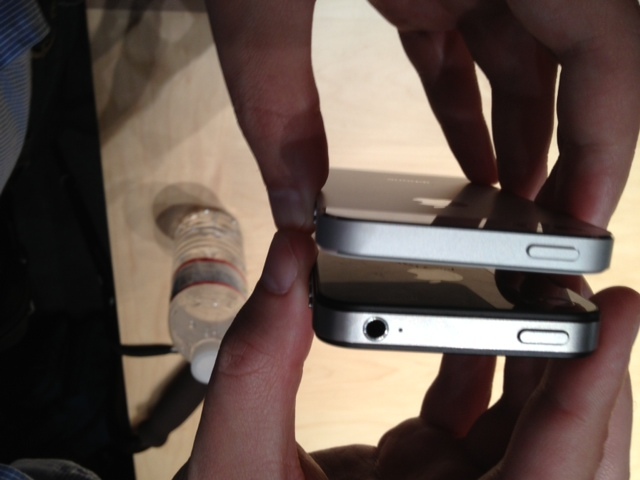 Thanks to MG Siegler for holding the iPhones for me.